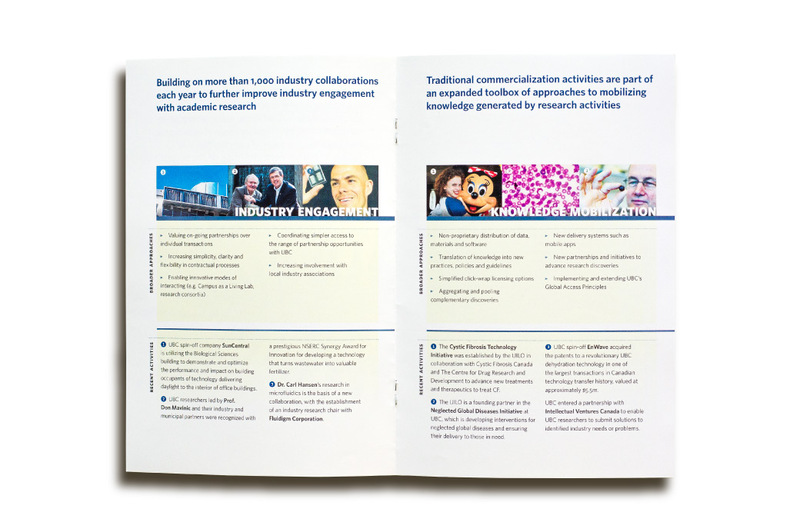 The University-Industry Liaison Office (UILO) facilitates industry interaction with the research expertise at the University of British Columbia. 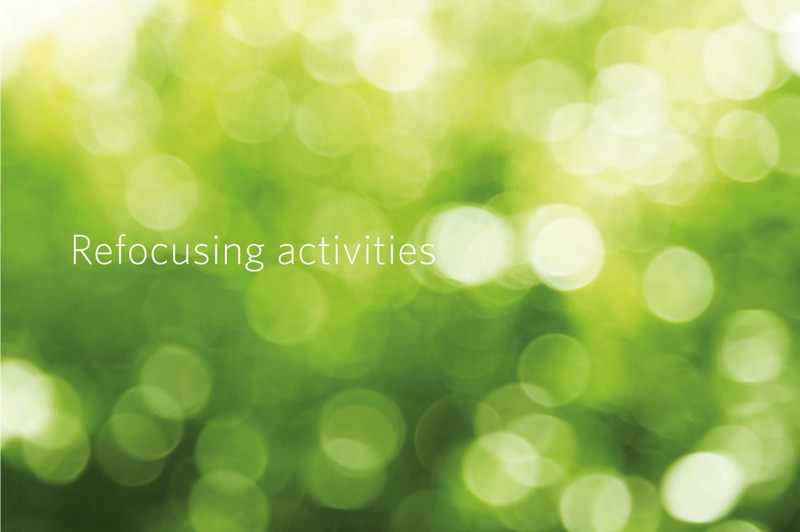 After completing a 5-year strategic planning process, the organization needed to communicate its new priorities. 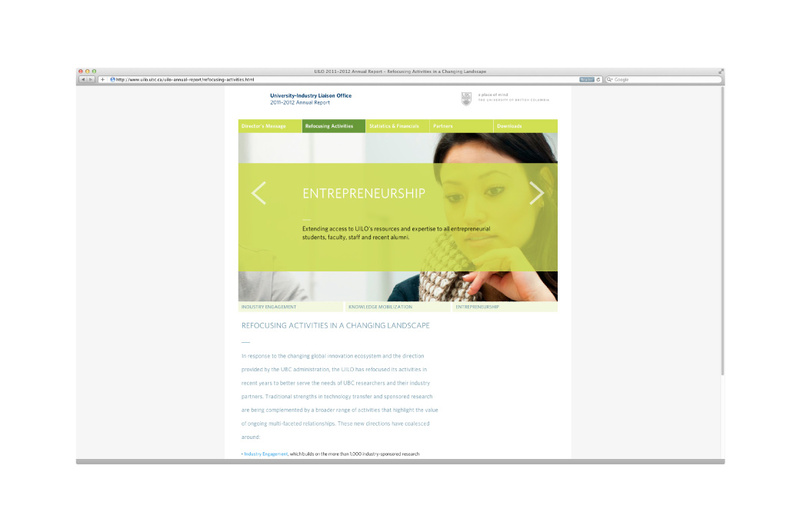 The UILO Online Report positions the organization as a service-oriented office and articulates its vision to stakeholders. 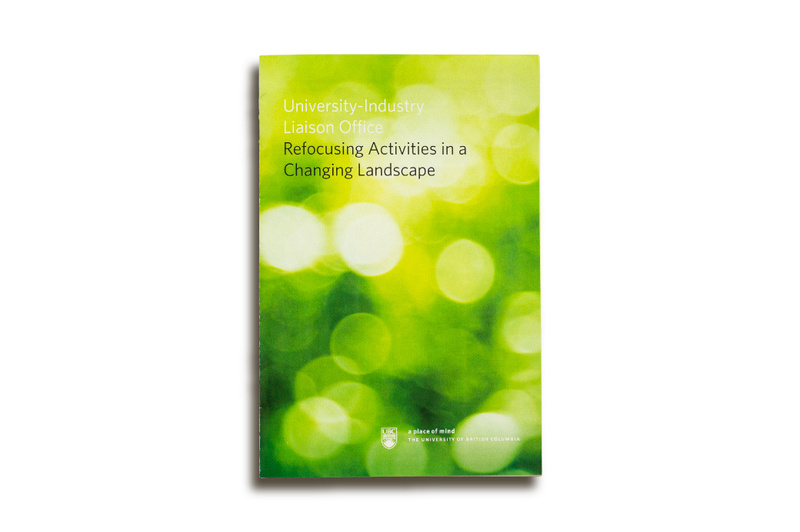 Working with the title, Refocusing activities in a changing landscape, the messaging highlights UILO’s activities in three areas – Industry Engagement, Knowledge Mobilization and Entrepreneurship. 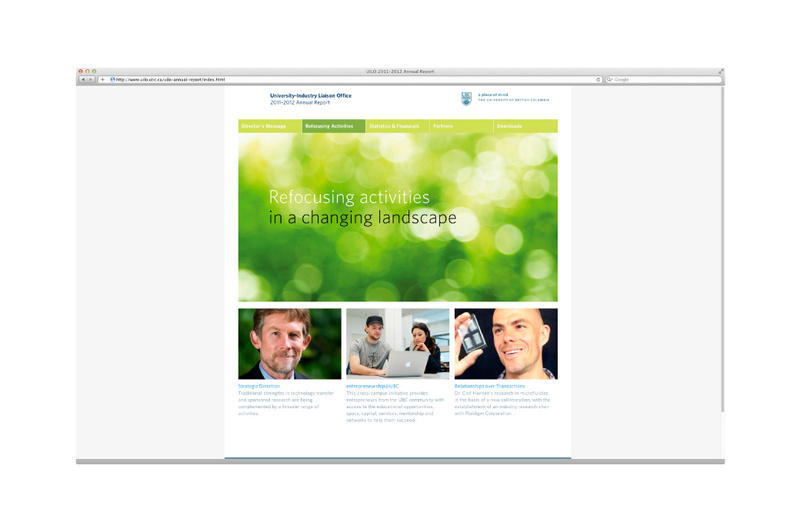 Within the Report, the heart of the site is housed within the ‘Refocusing Activities’ tab. 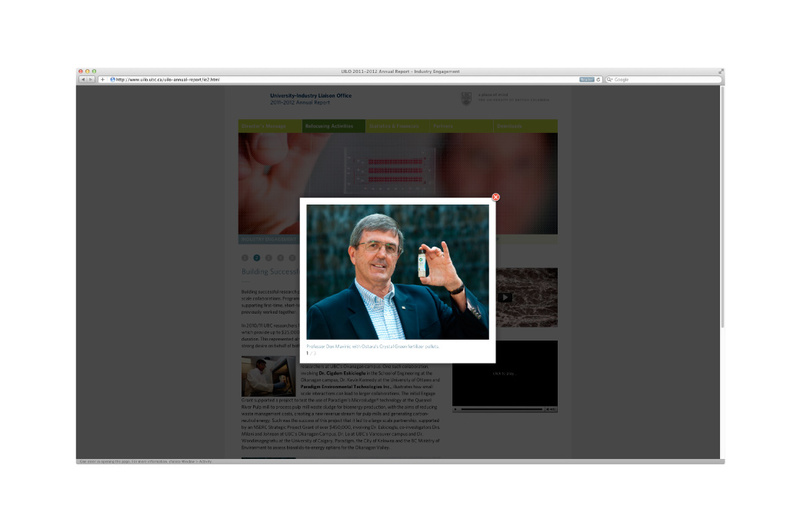 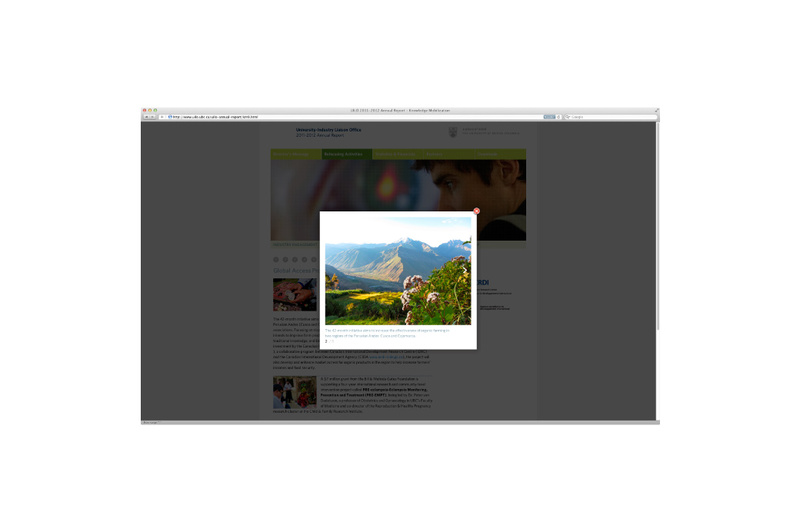 On the landing page, dynamic feature images rotate, highlighting UILO’s role in each area. 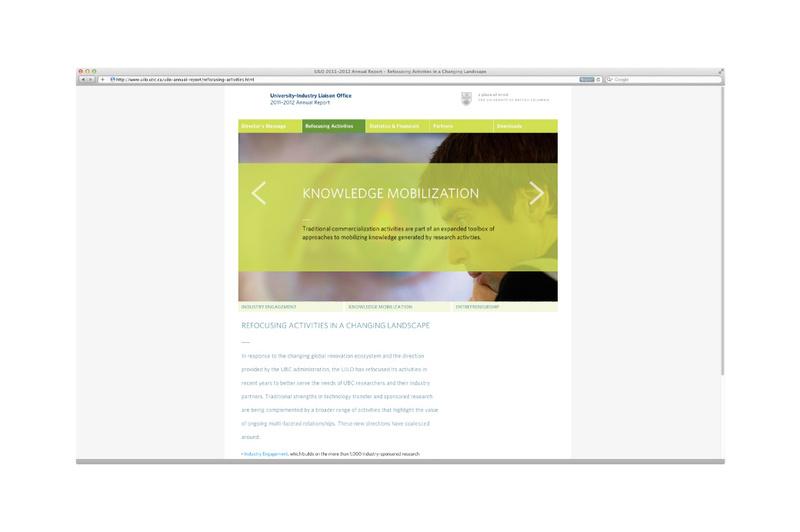 This approach memorably communicates UILO’s direction to audiences, and clarifies its positioning among the research community. 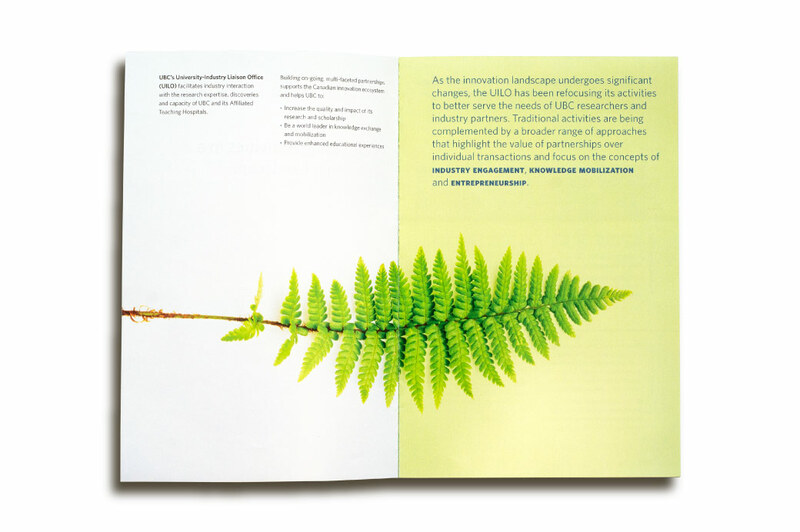 The companion marketing piece similarly showcases the organization’s focus areas. 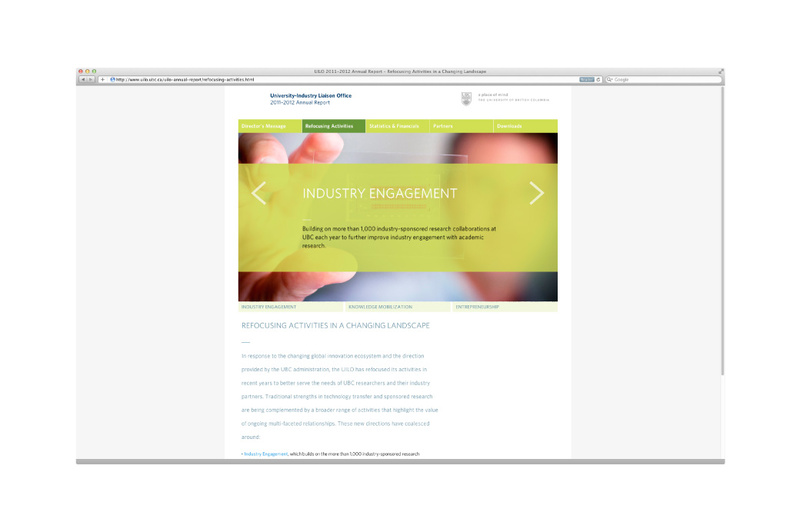 The piece captures UILO’s services and encourages researchers / industry partners to connect with the office. 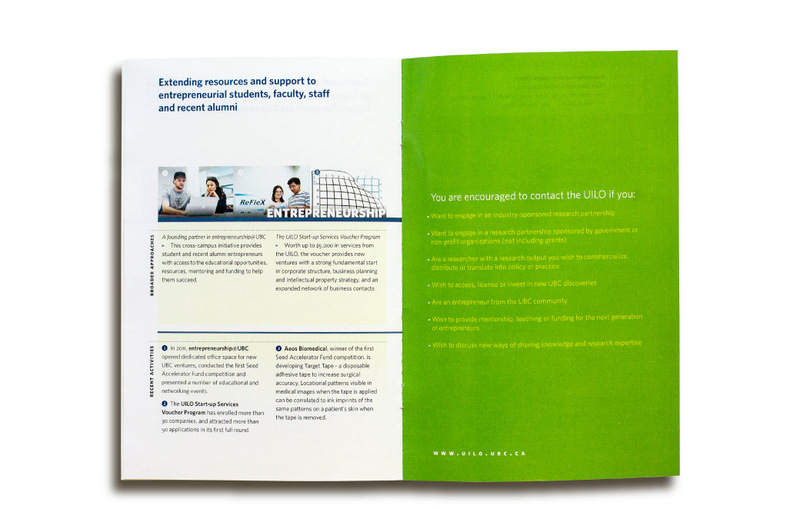 Overall, the Annual Report package was conceived with a modern visual language to appeal to UILO’s academic audience. 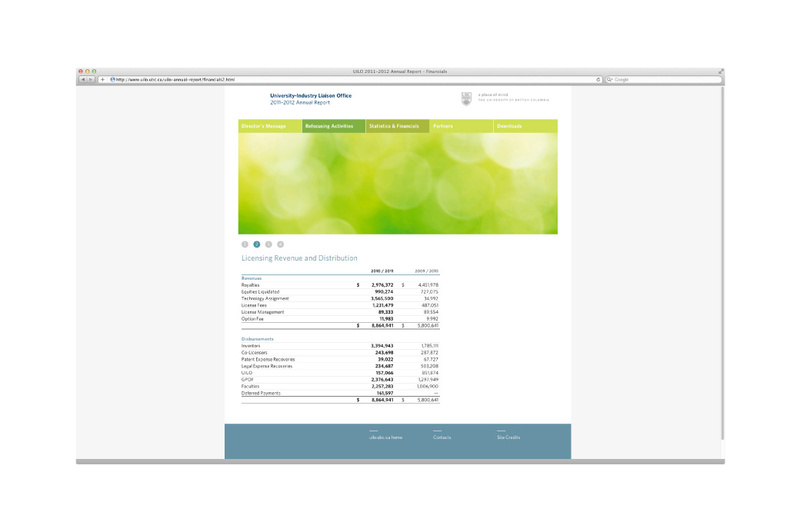 jncd has also developed subsequent Reports for UILO.